Ever since I was a little girl I have been a fan of the outdoors so much so that I remember my mother having to drag me inside at night for dinner because I would be outside riding my bike, walking around the neighborhood picking flowers, climbing trees, playing at a local park, roller-blading…yes, I said roller-blading. I always remember being a girl who would rather be outside then inside despite the weather conditions. As I got older my adventures and love outdoors grew where it really became a lifestyle and I am happiest playing outside. I also wanted to start meeting more people who wanted to be outside and I guess the universe heard me because I was introduced to this group! 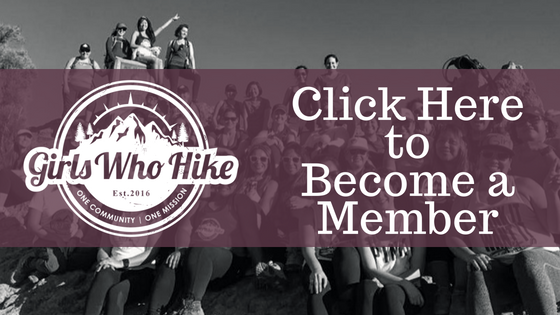 This has led me to today where I got involved with the Girls Who Hike group and how I got involved was through a long-time friend Mary Sanks, part of the LA Chapter, we met when we were kids at the YMCA. She reached out to me with news that a Nevada chapter was opening up and how to get involved. So, I did! When I went to plan the first event a girl from our NorCal chapter reached out and asked if I had an event going on Jan 20th and I did it just hadn't been created yet…So we ended up teaming up together and having a group event where 14 Gals showed up from Reno, SF to other areas in between on literally the snowiest winter day of 2018! 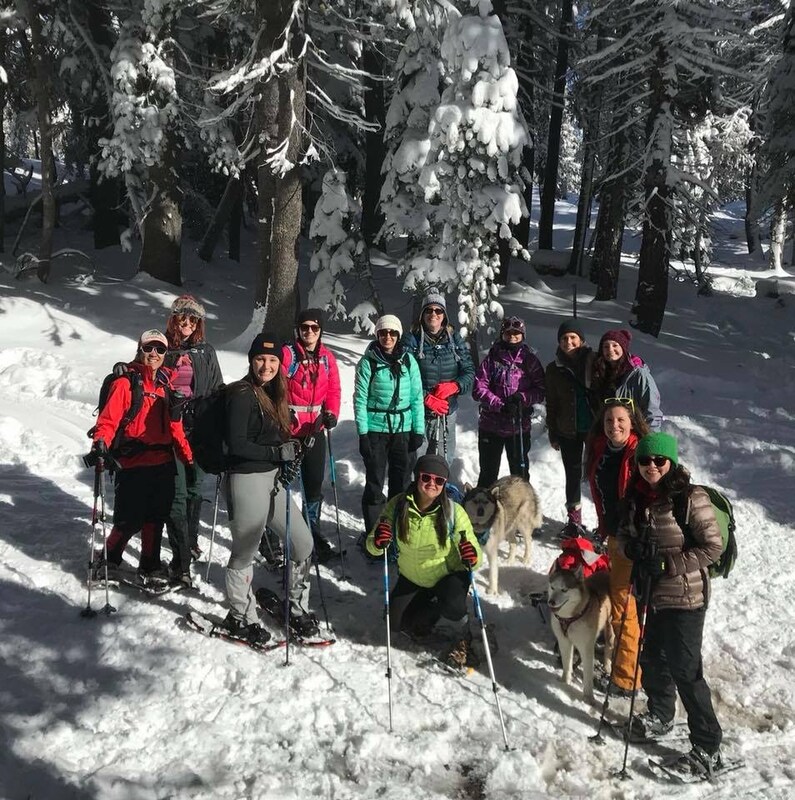 We had an amazing time heading up the trail for a total of 6 miles round trip getting to know other amazing women who also love the outdoors. As we headed up the trail we passed by a beautiful lookout area and decided as a group to go spend some time out on the overlook where we all had so much fun taking photos of each other at this most beautiful view. We also had Mary Holandez Bernsen who is a professional photographer on the side made sure that we all had our own photo taken looking out into the distance! What a cool 1st adventure with this amazing group! Living in the moment and being able to go with the flow has really led me to wonderful adventures and always meeting like-minded outdoor enthusiasts. Looking forward too many more adventures with this wonderful group of women!